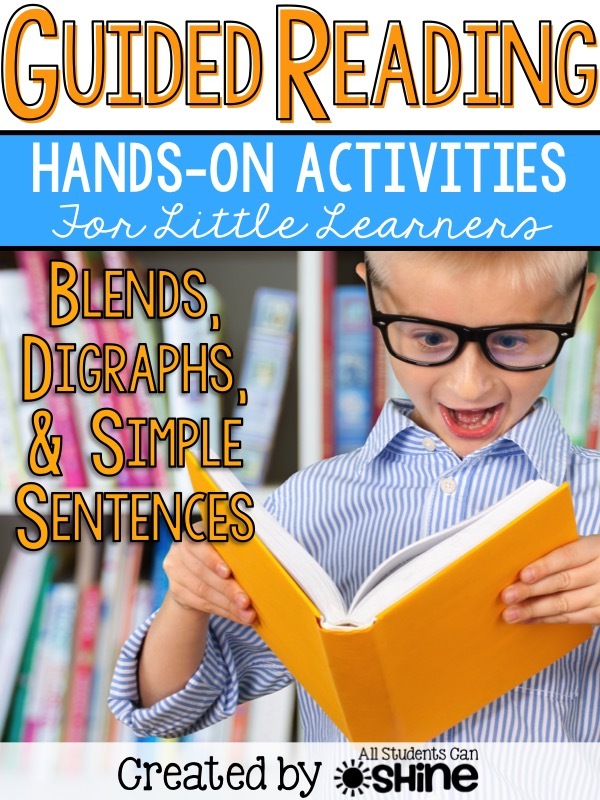 I'm finally ready to reveal my new guided reading pack and I'm so excited about it! 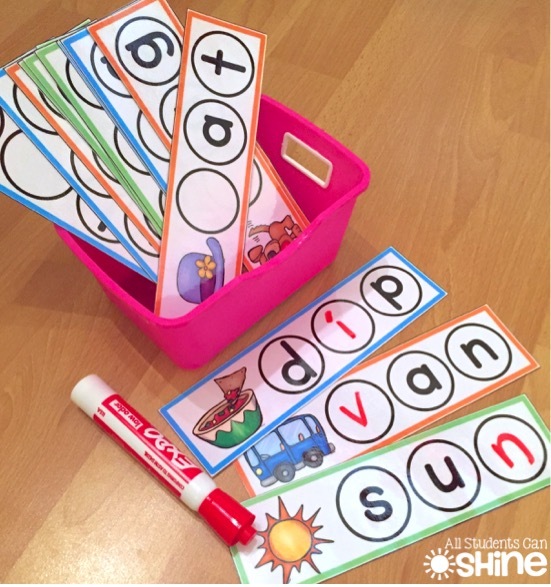 I use these letter and picture cards with my students who struggle with letter sounds. 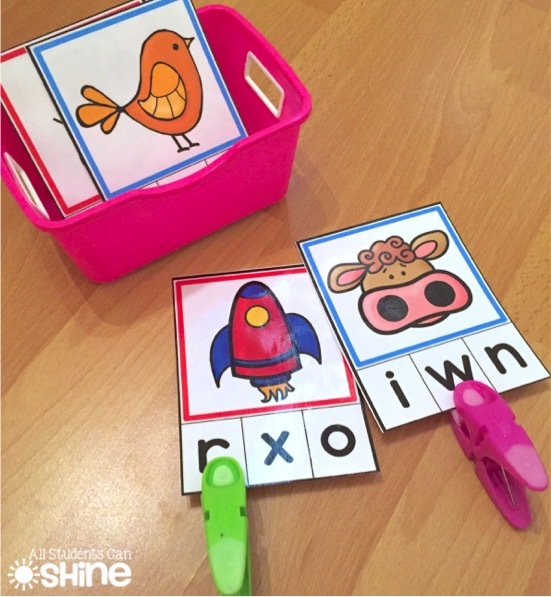 We play a variety of games with these cards such as matching letters with pictures and putting them in alphabetical order. I also use a set of picture cards that have CVC words only. 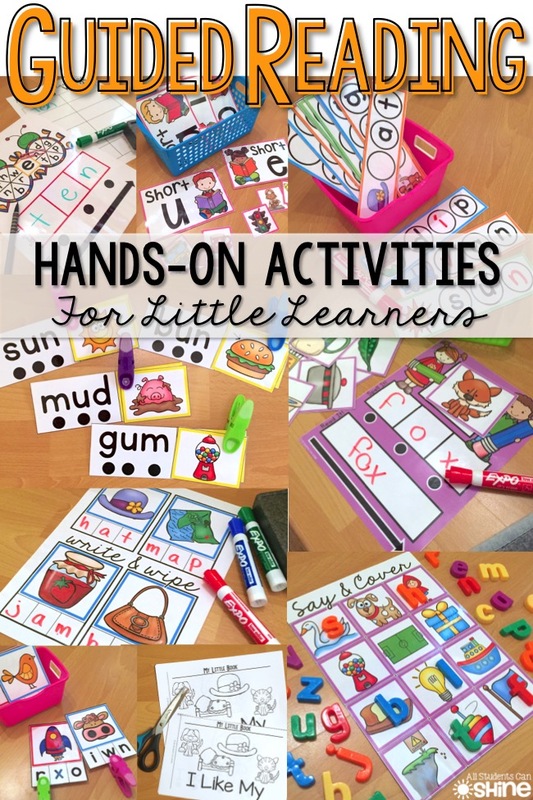 These are great for playing games that involve beginning, middle, and ending sounds. This next game is great for working on listening skills. 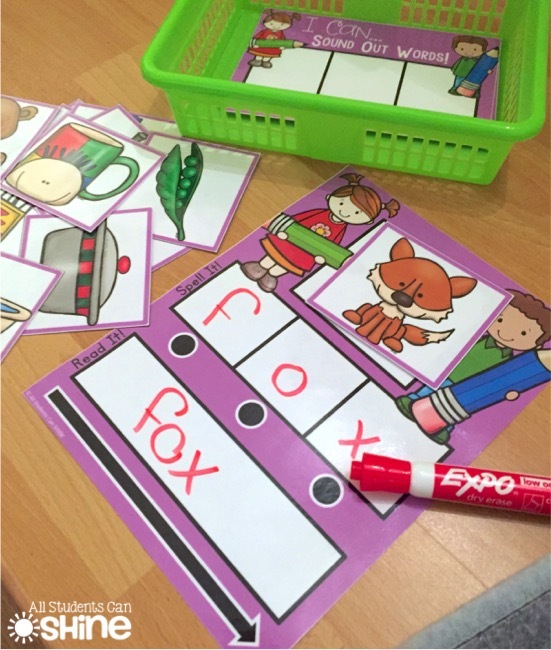 I like to call out letter sounds and have my students find pictures that start with that sound. Sometimes, I give my students more than one strip at a time. It depends who I'm working with. We also use different kinds of clips every time we play, to make the game new each time! These strips have pictures that all start with the same sound (except for one). 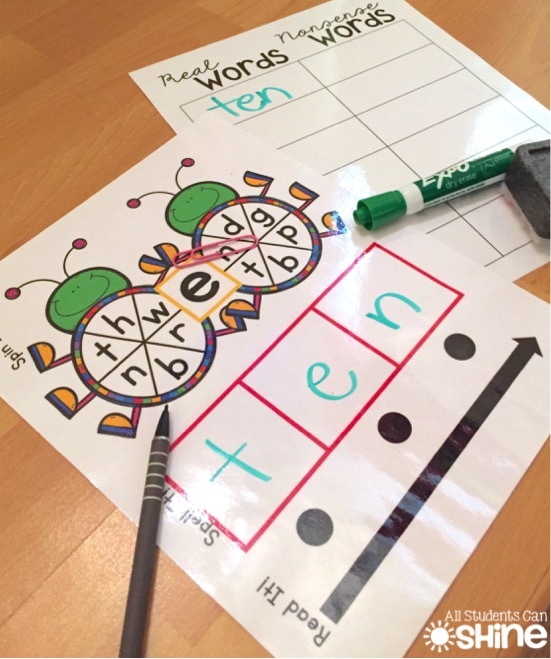 Students have to find the picture that does not have the same beginning sound and can either circle it with a dry erase marker or cover it with a clip. 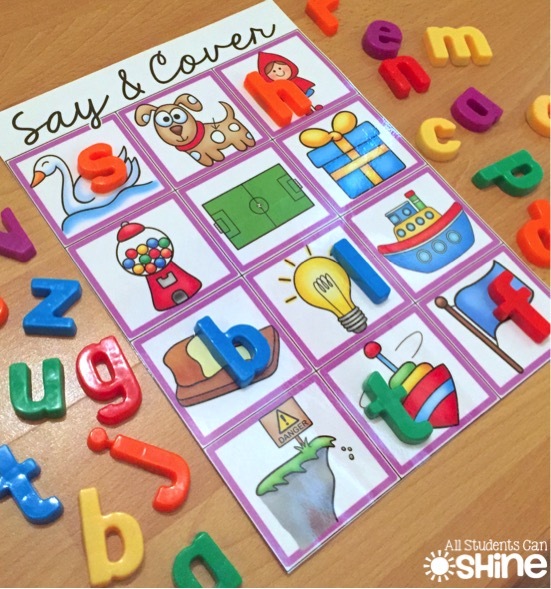 I also use these "Say & Cover" mats to practice beginning sounds. 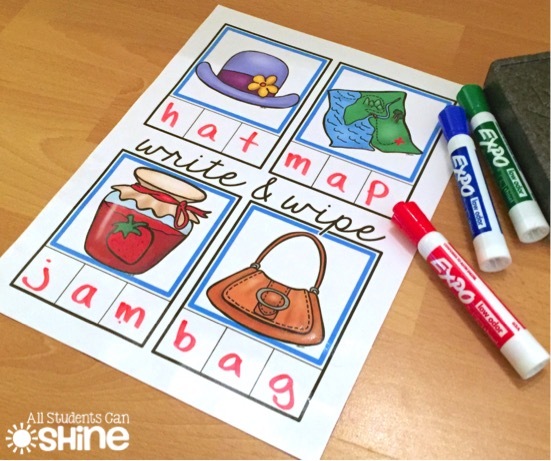 Students can cover the pictures with magnetic letters, foam letters, or letter blocks. I like to use different items each time to keep the game new. These "clip it" cards are one of my son's favorite games! 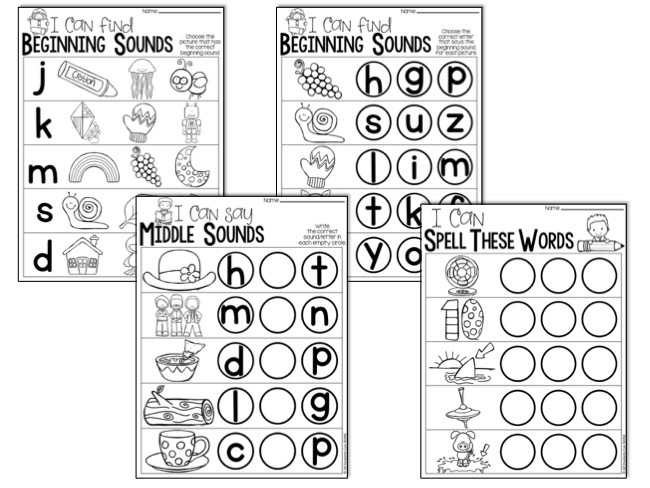 They are perfect for practicing beginning and ending sounds. 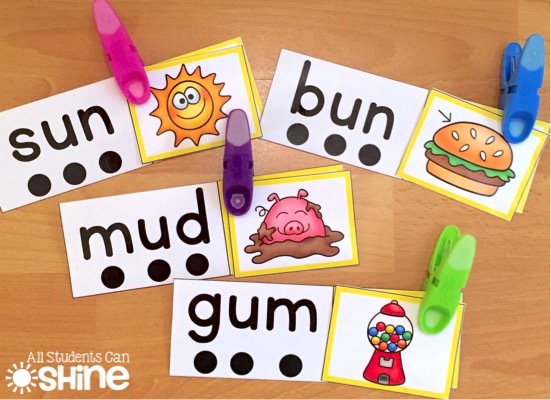 Once we have mastered our beginning and ending sounds, we move on to middle vowel sounds. 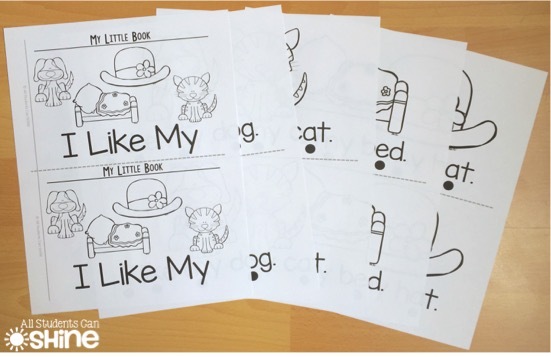 These are especially tricky for my students because many of them are second language learners and, even though many letters are similar, vowels don't sound the same in English and in French. We play a sorting game and practice sounding out each word as we place the cards under the correct mat. 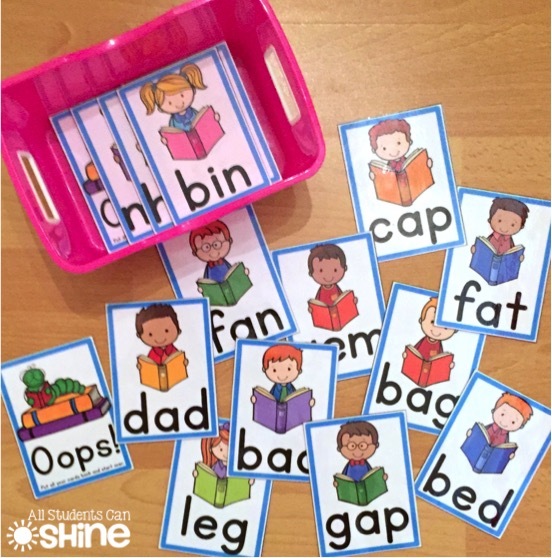 We use these word cards to play a reading game. 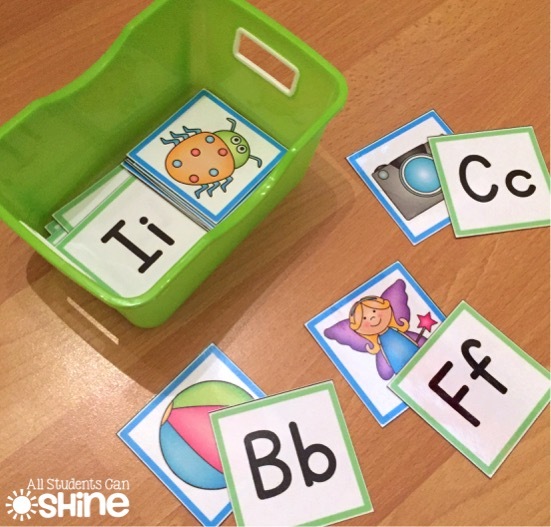 It's very simple - students take turns pulling cards out of the basket. 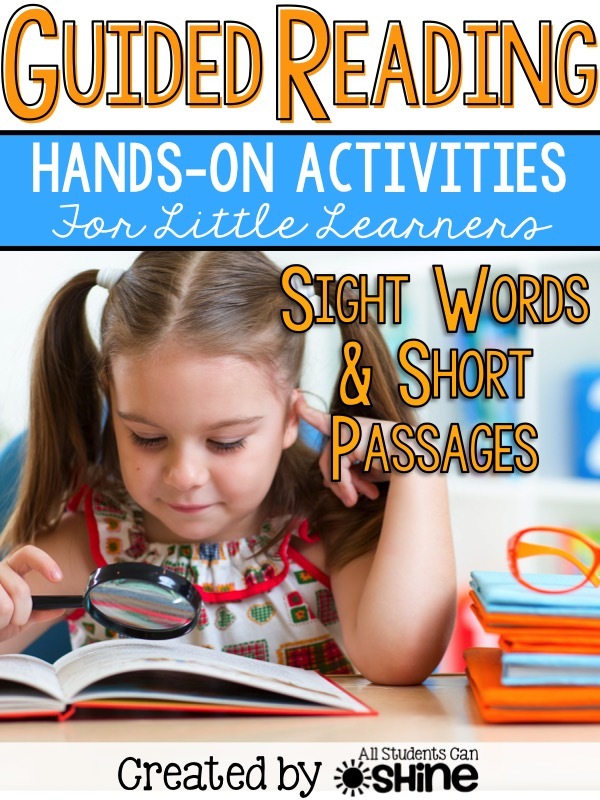 If the child can read the word, he/she gets to keep it (I help them sound out the words if they get stuck). If an "oops!" card is picked, the student has to put all his/her cards back in the basket. 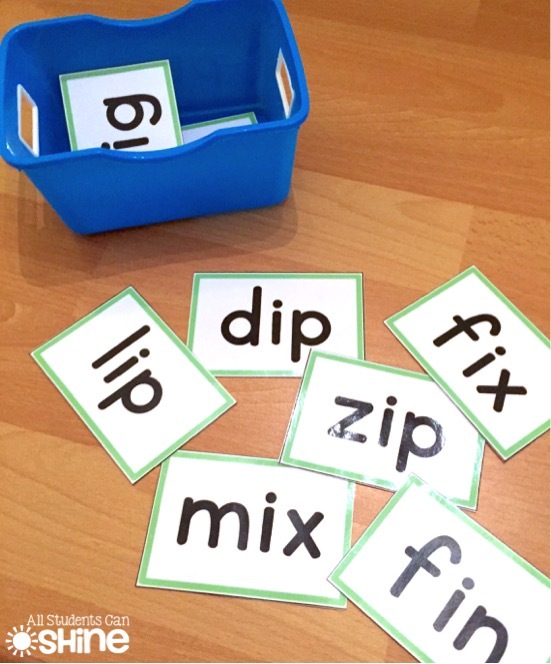 I place a few cards on my guided reading table and I call out a word. Students grab the card with the word that I call out. As we play, I keep adding a few cards at a time. This way, there are never too many on the table. The student who picks up the most cards wins! Depending on my reading groups, I sometimes ask a specific student to find a card, if I feel a friend is struggling and needs a non-competitive version of this game. These "clip cards" are a hit with my son too! Students point to the black dots to sound out the word. When the word can be read fluently, the matching picture card can be clipped. For this game, I have cards with missing beginning, middle, and ending sounds. 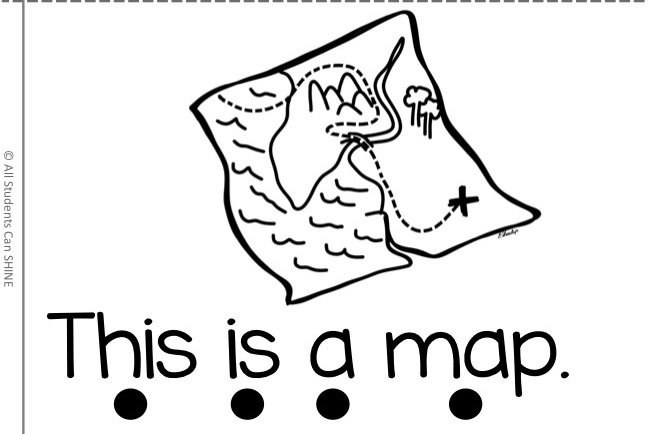 Students look at the picture and sound out the word to write the correct missing sound. and writing complete CVC words. 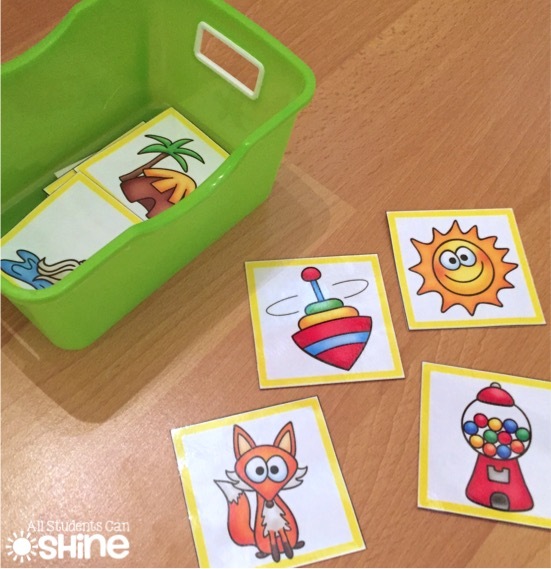 I like to use a variety of tools with my guided reading groups so I made some spinner games. 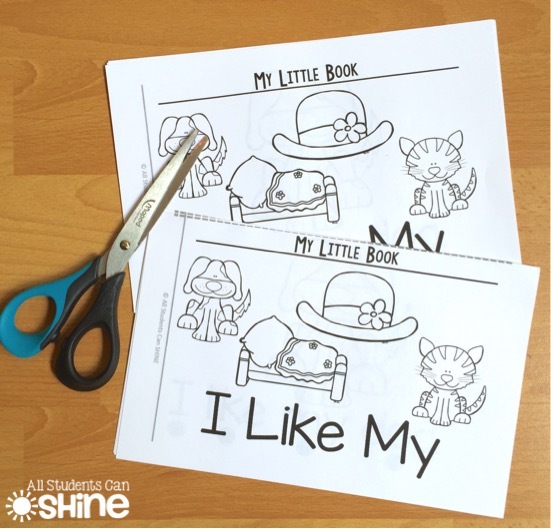 Students use a paper clip and a pencil to spin each side. 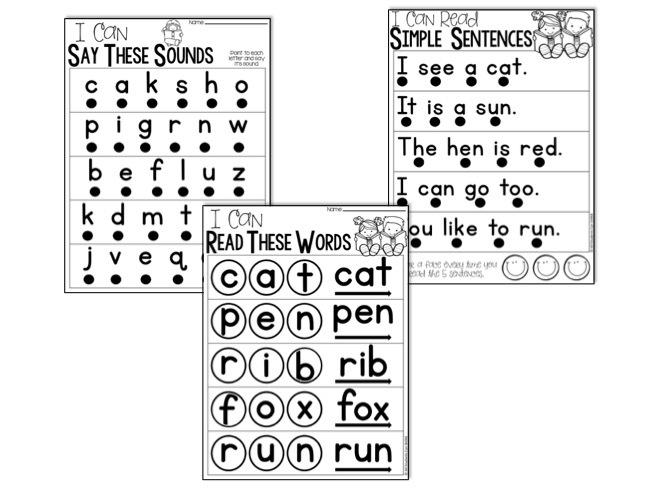 They can then write out the word, sound it out with the help of the black dots, and read it more fluently by sliding a finger on the arrow. Words can be sorted by real and nonsense on the recording sheet. I laminate the recording sheet and we use dry erase markers on that too! 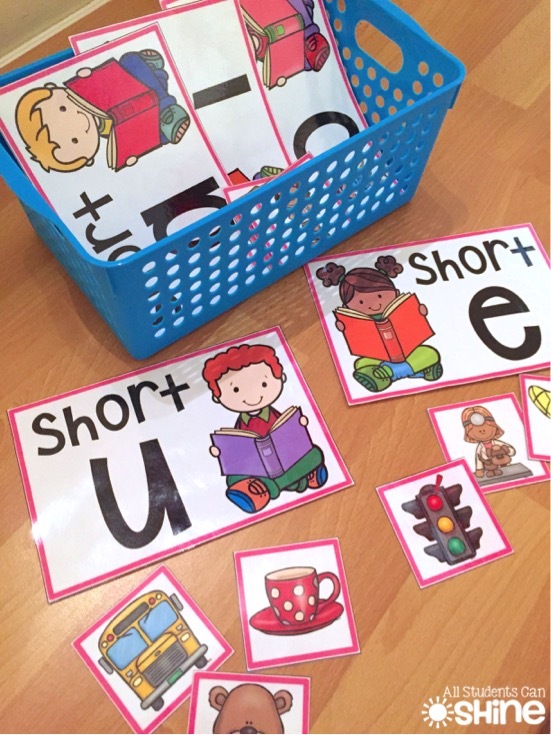 I love my sounding out mats because kids can choose picture cards to sound out and read. 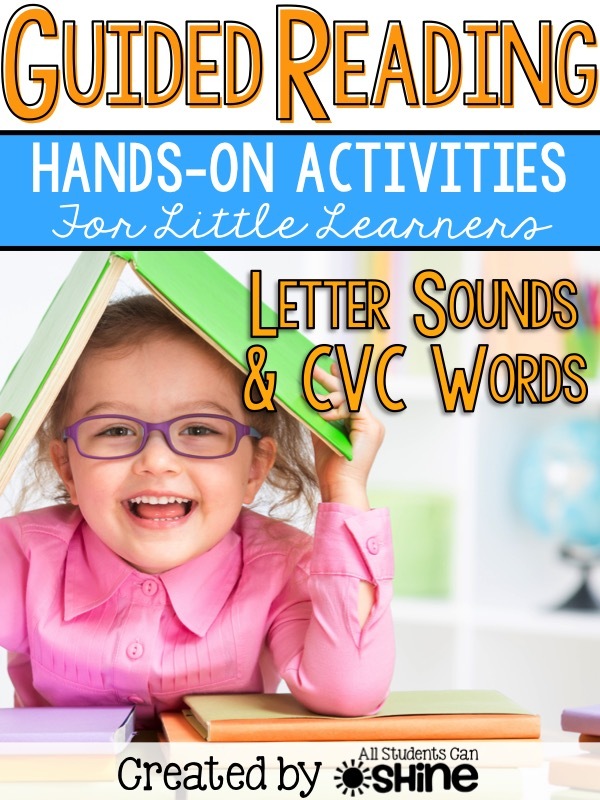 Once we can read CVC words more fluently, we can start to read little books! Each page has black dots that students can point to as they read. 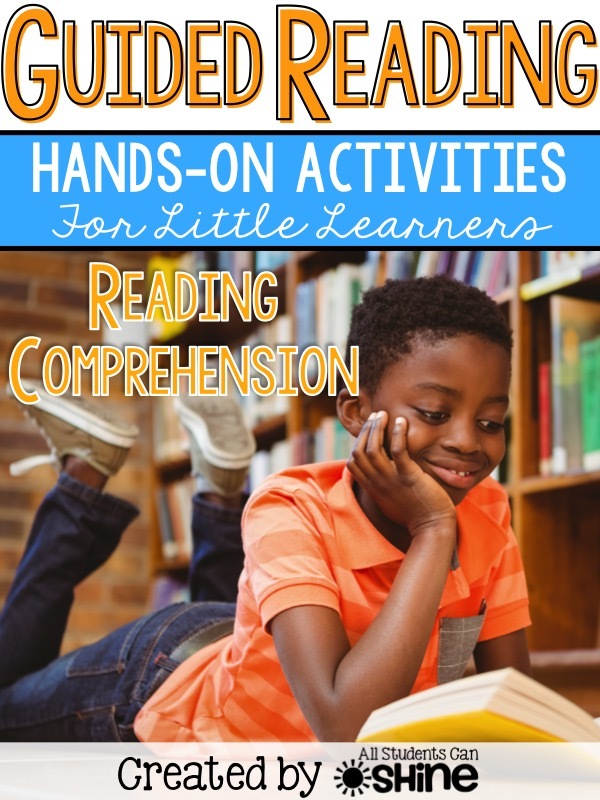 Finally, I made some assessment pages for my guided reading groups. 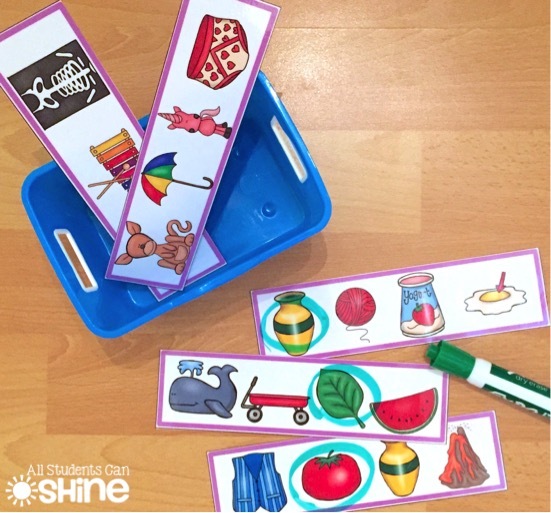 These are perfect for keeping track of where my students are at in their learning. 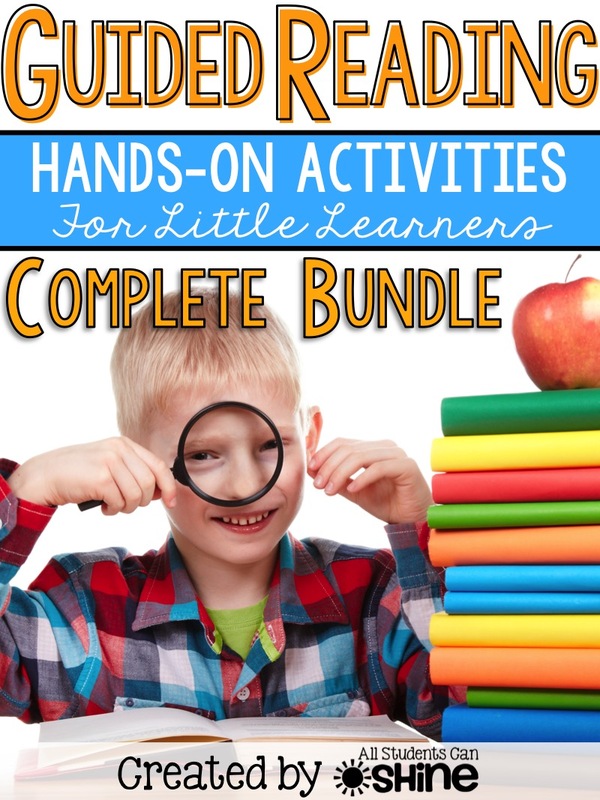 Everything you see above can be found in my Guided Reading pack. I put a FREE game for you to try in the preview file. Just click on the picture below and download the preview! 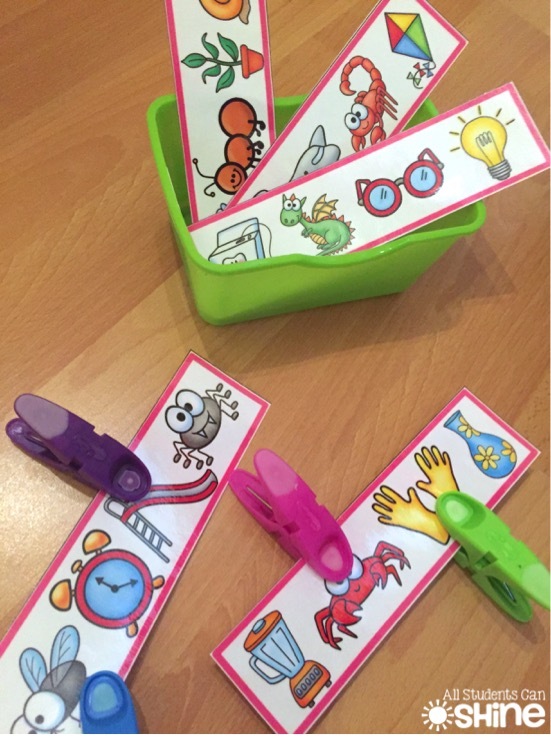 I have finished ALL my guided reading game sets! Click on the pictures below to see what is inside each set. I am AMAZED!! Thank you ever so much for this wonderful space. God bless you!